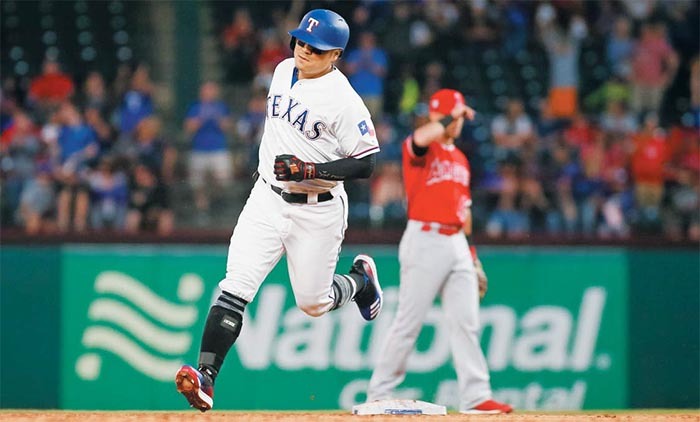 Choo Shin-soo of the Texas Rangers hit his first homer of the season in a home game against the Los Angeles Angels in Arlington on Monday. In the third inning, with the Rangers trailing 4-1, Choo turned a 126 km/h knuckle curve into a solo home run. It was his first of the season and 190th of his Major League Baseball career. Choo finished the game with one homer, three hits and one walk, helping the team win 12-7. 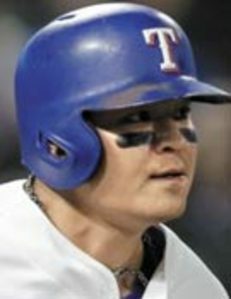 At 37, Choo, who made his big league debut in 2005, is the Rangers' oldest player and one of its top earners. Many predicted a rough road ahead for him after he was excluded from the club's starting lineup for the season opener against the Chicago Cubs on March 29. It must have been quite a dent to his pride since he had never missed a season opener for the last 10 years. But Choo seems undeterred and is performing well, with a batting average of 0.333 and an on-base percentage of 0.439 in 14 games so far this season.